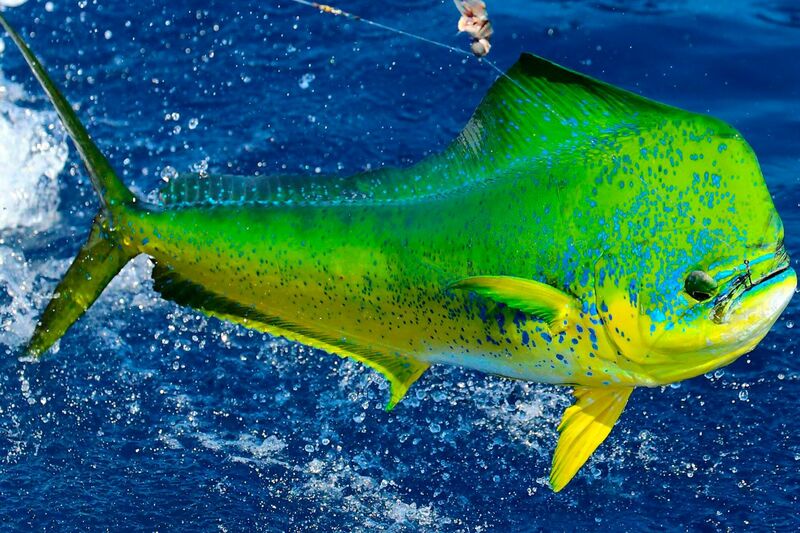 GET READY FOR THE ULTIMATE TUNA FISH SPORTFISHING ADVENTURE! These tours take you into the Papagayo Gulf, which is located along the northern portion of the Nicoya Peninsula. 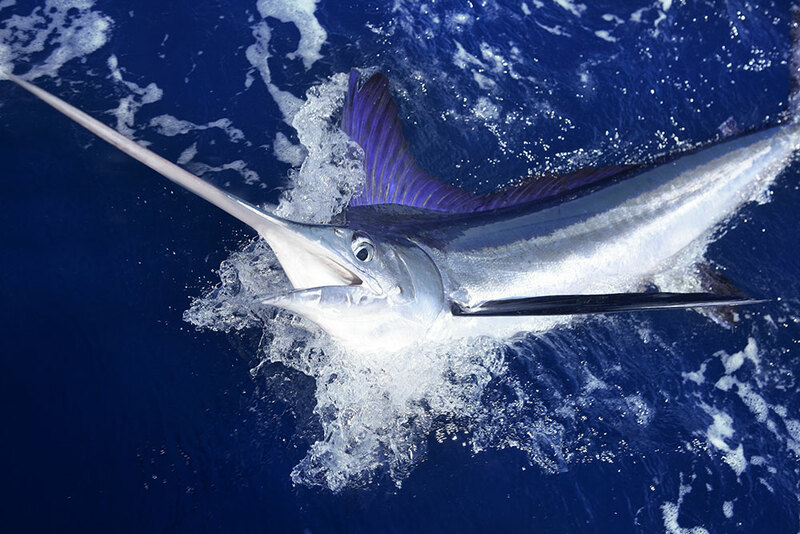 The fishing here is good year-round and you have the chance to hook blue marlin, striped marlin, sailfish, rooster fish, dorado (mahi-mahi), wahoo, red snapper, and yellowfin tuna. 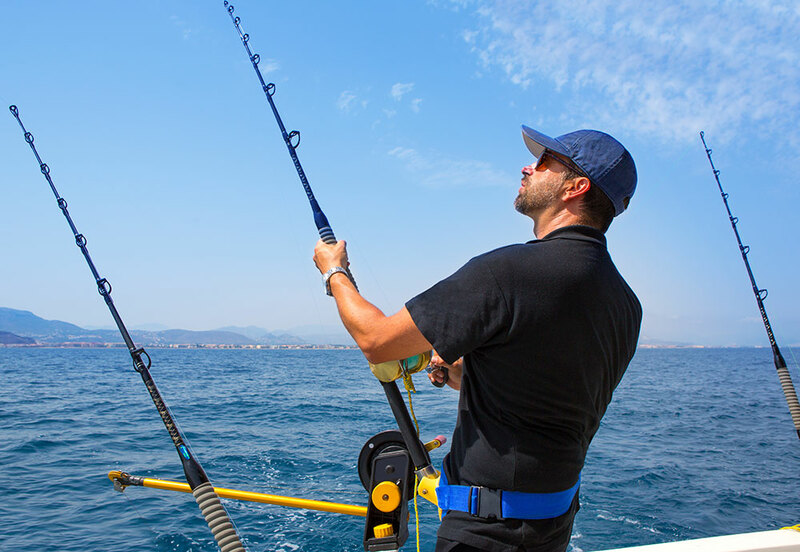 The best time to catch each type of fish varies depending on the season, but rest assured that you have a great chance of landing several fish. While you’re out on the water you might also be able to see humpback whales and dolphins. There’s nothing like seeing dolphins jump in waves or watching a humpback whale swim with its calf across the gulf. We put our reputation on the line daily. 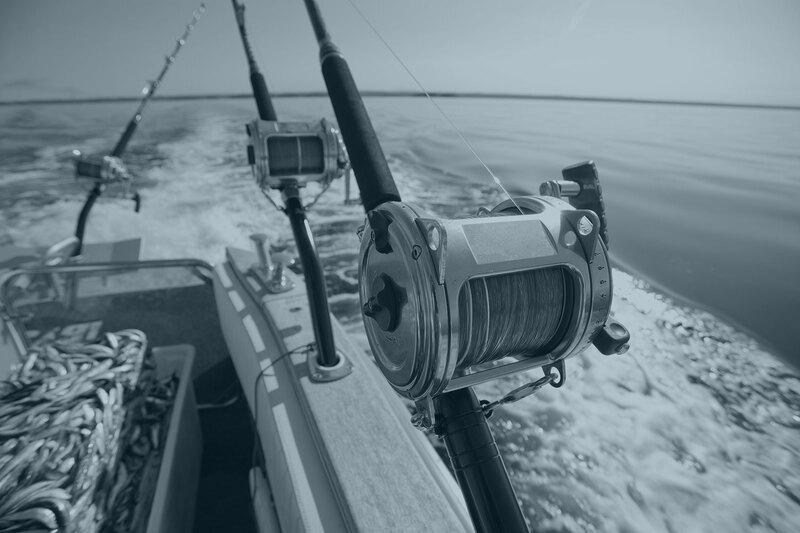 We can’t guarantee fish, but we can guarantee that you will get the best captain, crew, gear and hard work out of us. 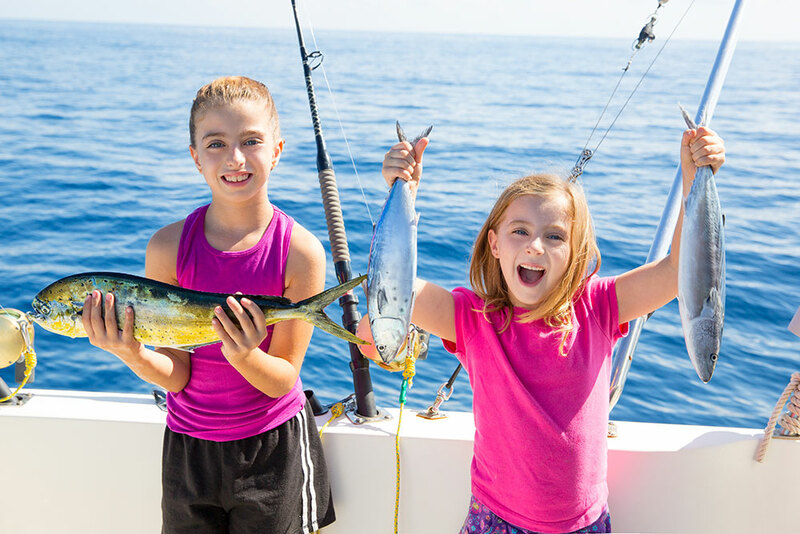 Our fishing charters are all inclusive meaning we provide everything. This includes bait, tackle, fishing licenses, captain, mate and even ice. Each boat comes equipped with ice, a bathroom and all top-of-the-line gear and electronics. 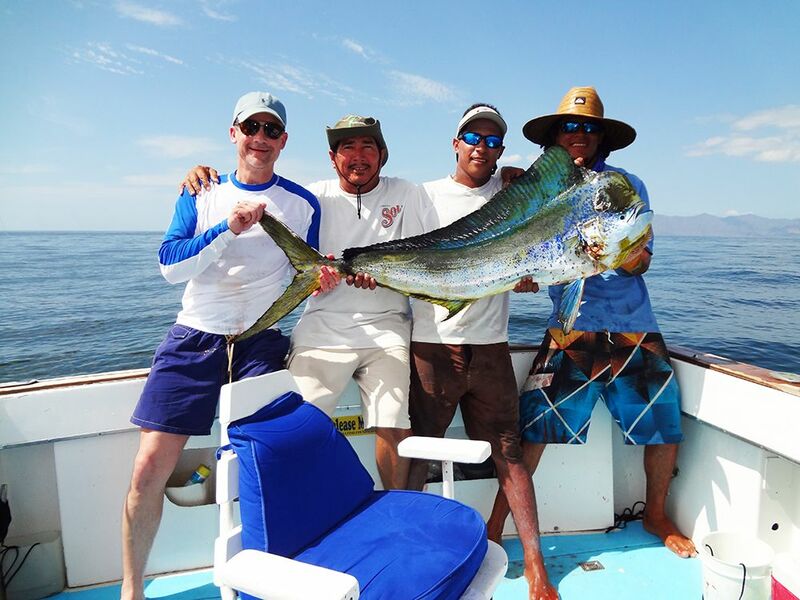 Trust that you will get the best boat in the business for your Papagayo fishing charter experience. All fish you catch within regulations are yours to keep. Captain /crew clean and pack the fish nicely for you. The captain likes to practice catch and release with certain species. You will enjoy 4 hours (7:30 a.m – 11:30 a.m). 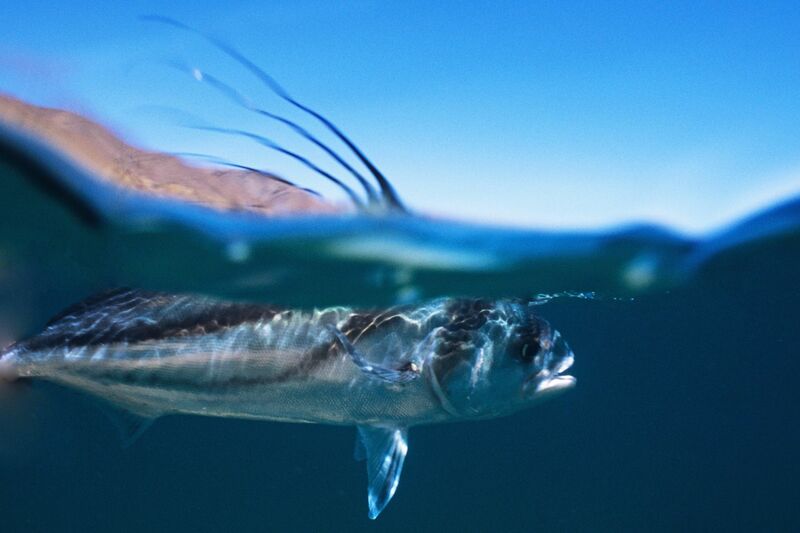 Inshore sportfishing is for those who wants to enjoy the amazing Guanacaste coastline. 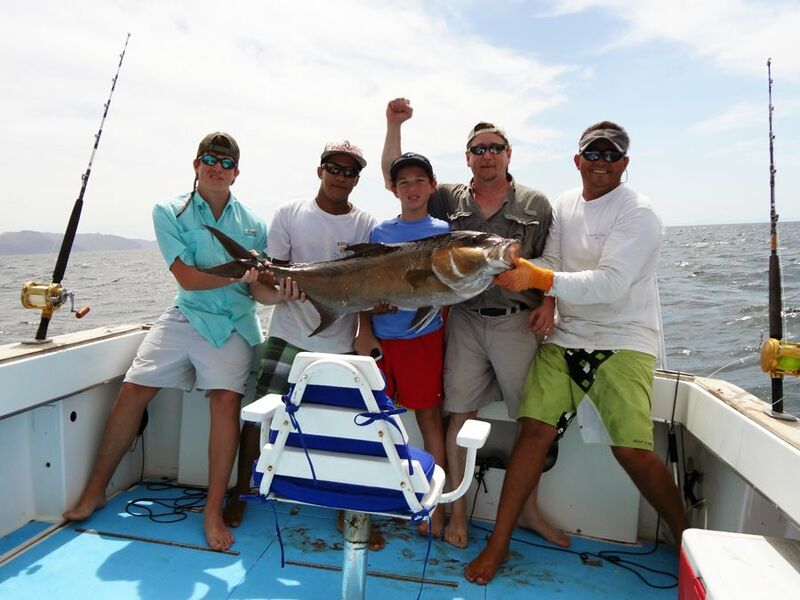 We take you fishing in the middle of the Gulf of Papagayo looking for dorado, roosterfish, red snapper, grouper and all inshore fishing species. 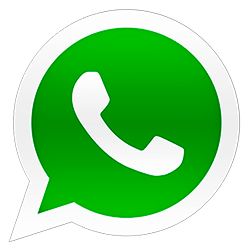 You will enjoy 8 hours (7:30 a.m – 3:30 p.m). 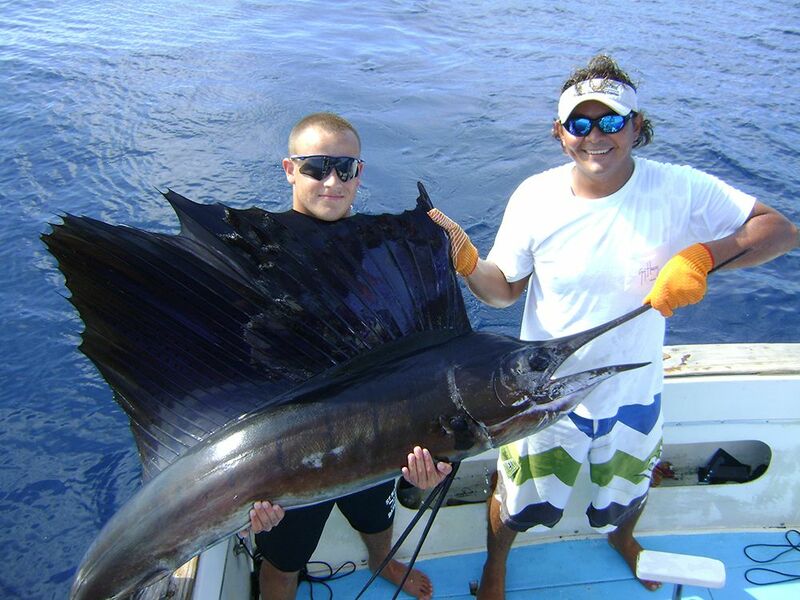 Offshore sportfishing is your perfect choice to experience Costa Rica big game fishing at the Gulf of Papagayo. 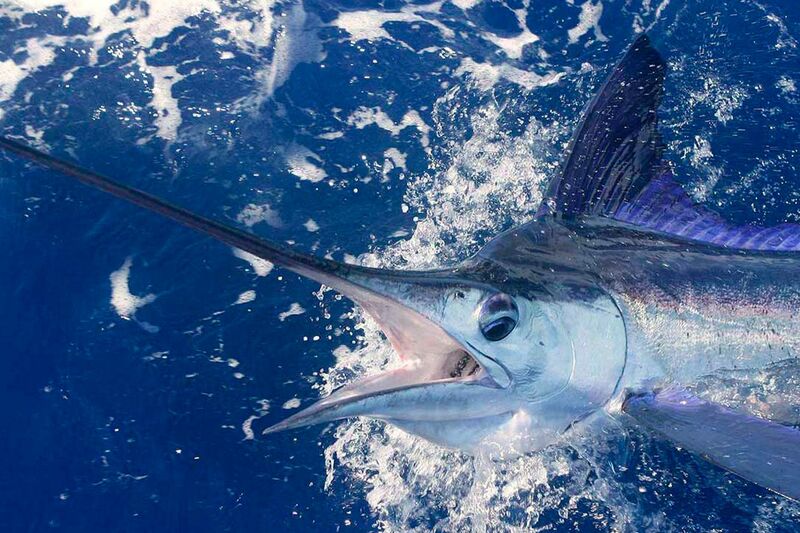 We usually run 25 – 30 miles away from coast line looking for marlin, sailfish, wahoo, and tuna. If you are an intrepid angler and would like to book more than one charter, Contact us today. We have a great deal for you. We provide special rates on two or more bookings. 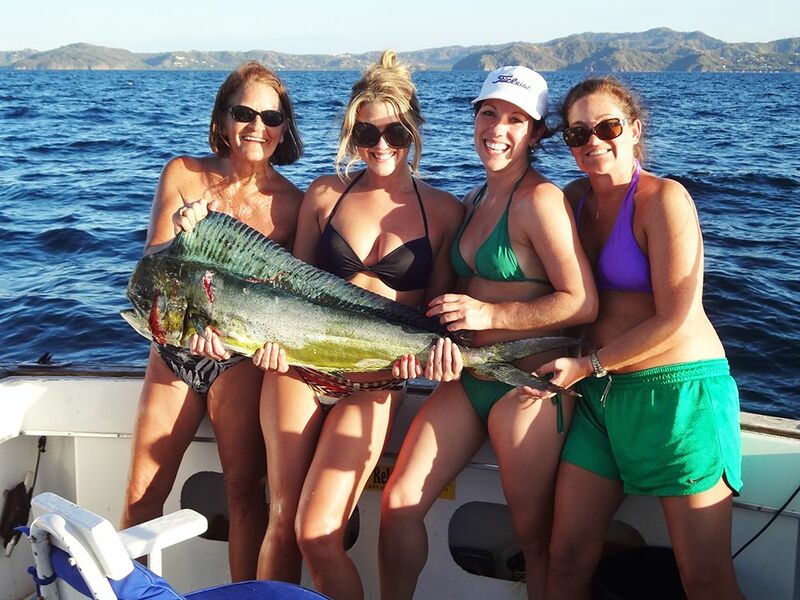 See our fantastic fishing gallery of happy customers who have caught some great fish with Tuna Fish Sportfishing at the Gulf of Papagayo, Costa Rica. We did not catch anything big, but we caught some fish. We had a blast with the crew, nice boat and perfect weather. We booked the Charter over the internet before leaving the States. They picked us up from the beach at our resort on time just as advertised. We seen some of the most beautiful scenery while we were trolling. We caught 12 blue fin tuna and 2 big roster fish. Captain spoke English and very polite and friendly. Crew was very friendly and did their jobs perfectly. Great time, caught fish, and drank beer. What a great day fishing. Will do it again for sure. Thank you Fradian!, We had an amazing day of fishing!. Our guide and the captain knew just where the mahi mahi and tuna were biting. A great day was had by all. 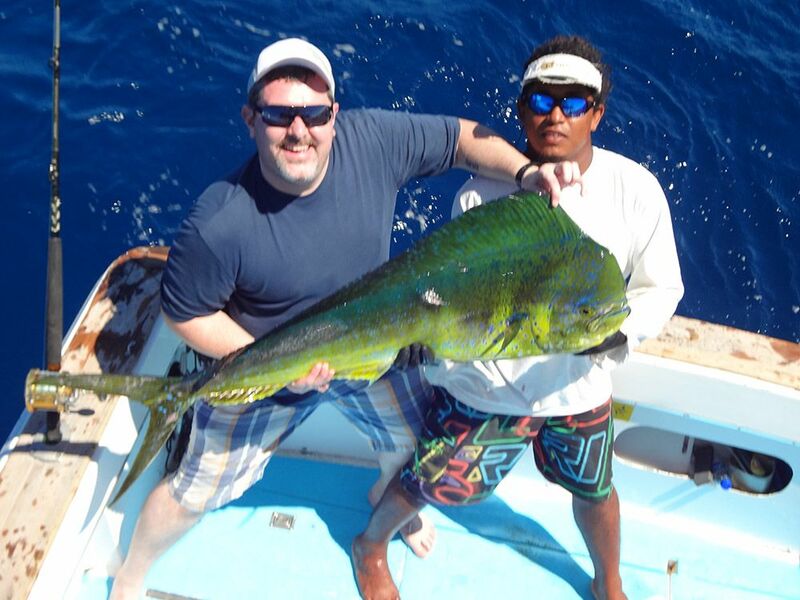 We will be contacting you again in our next Costa Rica fishing trip! Thank you. Very happy. The crew was very good and friendly. My wife felt so sick and they went out of their way to make her feel comfortable and she ended up feeling better. We ended up catching 6 bonitos, 1 rooster and 1 nice jack. Thank you very much and I will be back in a year to get a bigger rooster. Fished on the Tuna Fish boat. The capt. And crew put me on fish right away. All worked very hard trying everything in the book to get a Sailfish in the boat for me. The first mate was always on the move, checking and changing things up. Thanks guys, see you next year. 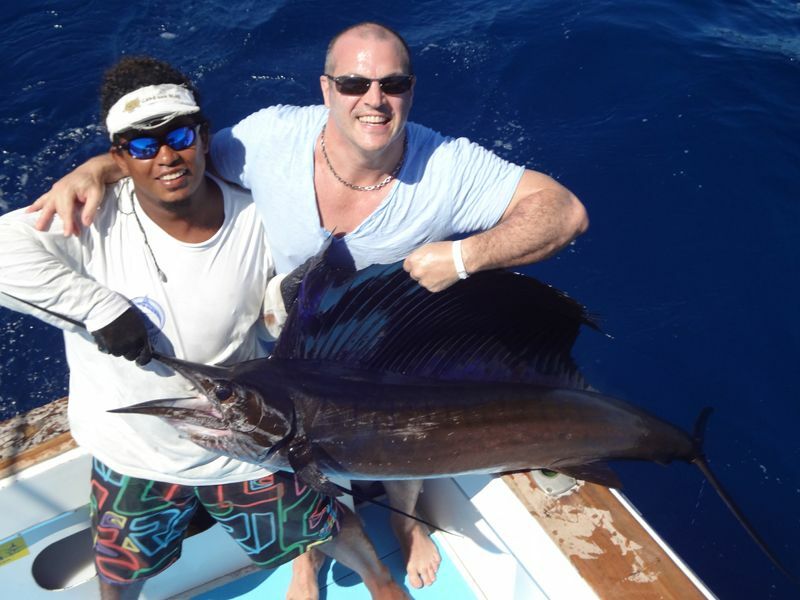 The crew was so nice and accommodating…..we caught a nice sailfish and just had a beautiful day on the water! They fed us a nice lunch and it was a perfect day. Highly recommend this charter service! Loved the charter and would definitely do it again!! 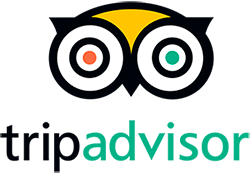 The crew was excellent and knowledgeable about the area. Asked what we wanted to catch, and we did!! I am so glad we did this. My wife and I came down to the gulf of Papagayo for our honeymoon and decided after being here a day that we really wanted to try our hand at fishing. Fradian wasn’t phased by the short notice and found us a boat in no time at all. He also made it extremely easy to pay and he was great with communication. Completely satisfied with the day. 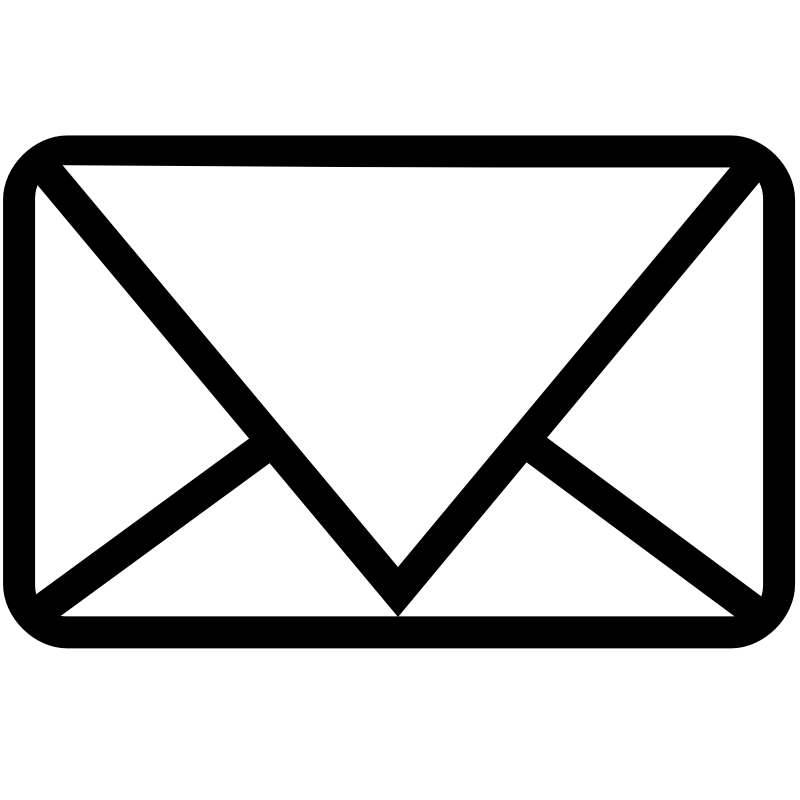 Copyright © 2019 - SWFD Member - Check out our freinds!